If that sounds like a lot, spare a thought for people in Africa dreaming of buying Apple's flagship smartphone. Lagos, Nigeria, is one of the world's fastest growing cities and the most populous conurbation on the African continent. Wages are still extremely low there and somebody hoping to buy an iPhone X on an average wage would have to work for 133 days. 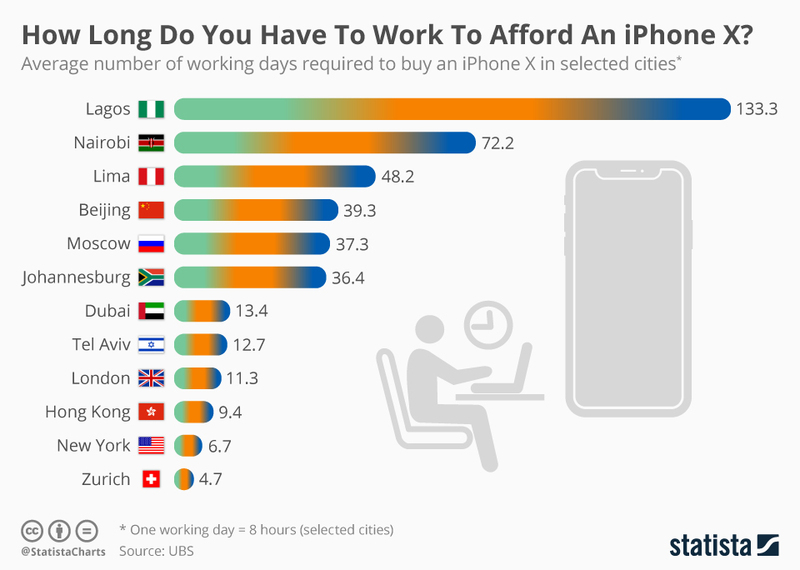 The Kenyan capital of Nairobi is a little bit better off with an average earning needing 72 days of work to purchase the handset. Aticle by Niall McCarthy, Statista.